Ueno Zoological Gardens is the oldest zoo in Japan. Founded in 1882, it has grown over the years, expanded its area to 14.3 ha / 35.2 acres, and been the flagship of the Japanese zoo world. Now it’s home to over 2,600 animals from 464 different species and provides visitors with learning experience about the diversity of animals as well as fun and enjoyment. 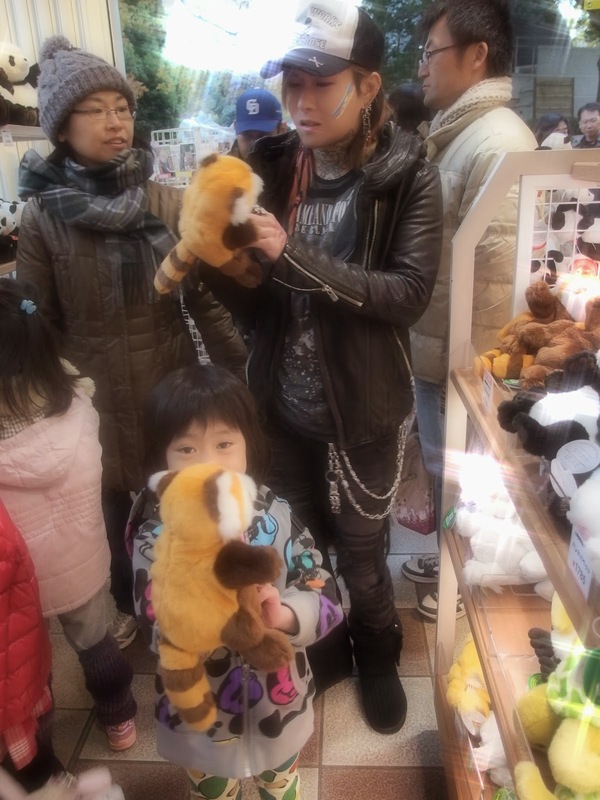 In its long history, Ueno Zoo has received numerous animals from abroad. Its most popular residents are giant panda bears, which first moved here in the 90’s on the occasion of the normalization of relations between Japan and China. It was in 1972, when the first giant pandas arrived from China to Ueno Zoo and ever since then, Ueno Zoo has been cooperating with Beijing Zoo, San Diego Zoo, and Chapultepec Zoo for conservation. Ueno Zoo has also worked with many zoos abroad on the topic of breeding of wild giant pandas. After Ling Ling’s death in 2008, the zoo temporarily had no pandas, and many were sad. Ueno Zoo received two new baby pandas in February 2011. Named; “Ri Ri” and “Shin Shin”, these were the two pandas that arrived at the zoo in 2011. 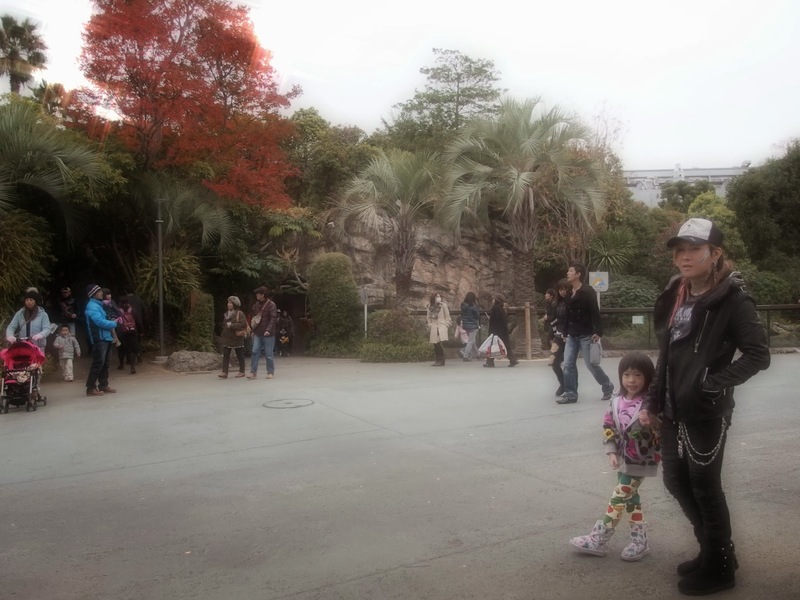 In recent years, Ueno Zoo has gained a somewhat bad reputation as being “inhumane” among foreign visitors. This is due to the zoo’s inhabitants increasing rapidly, plus the lack of land that’s already a problem in Tokyo. Many visitors say they feel sorry for the animals being squeezed into such a small area. While that’s true, I feel those “small areas” are sufficiently equipped and well-stocked with props/toys for the animals – at least the animals seem to be happy here. It’s definitely not luxury, but it sure is above average to me and definitely better than some of the zoos I’ve seen in certain countries. Japanese people live in tiny “shoe boxes in the wall” apartments too. Surrounding these high-rise apartments are convenient stores, grocery chains, fast food and entertainment like movie arcades, video game centers and even shopping centers. There’re schools around, hospitals and the nearest police station isn’t too far. Living in these tiny apartments here, (which many dream of); don’t you think it’s a wonderful trade-off?? At least, you don’t see any bird/mammal/fish/reptile complaining, do you? Due to prices in Japan skyrocketing, many have moved and taken their shopping online. I, myself, have personally cut down on my expenses at physical stores and spend whatever I end up saving, on even more stuff…online! Tell me if that makes sense! You should know how lazy I am by now when I say that it can take quite some time to travel from store to store, looking for the best price or the exact model of an item I want, but…shopping online not only cuts out my travel time, as well as the time I take to do research, because I can easily compare items just by completing a search! 1 click! Sometimes, just purchasing something online when compared to doing so in a physical store will save you money, immediately. At the same time, you can also browse customer reviews easily to see which products are the best, as physical stores don’t offer customer reviews in their store. One of my favorite things to do when shopping online…is to look for coupons! Should I require any, all I need to do is turn to Google! I always search for coupons before making a purchase. Sites like www.chameleonjohn.com come in handy as they have tons of coupon codes for all types of retailers, from budding online merchants to huge chain stores. Some of the discounts you’ll get from ChameleonJohn.com include, a big 30% Off Kohl’s promo codes‏! Did I mention a perk that comes with most of the coupons that ChameleonJohn.com offers? Yes, Free Shipping!! Of course, there’re many different other stores online like; www.retailmenot.com & www.coupons.com – to name few. Unfortunately, for these animals here though, they can’t get access to these privileges because animals can’t use the internet (or can they?). Well…I’m broke but I’m still at the zoo! Wait…what?! 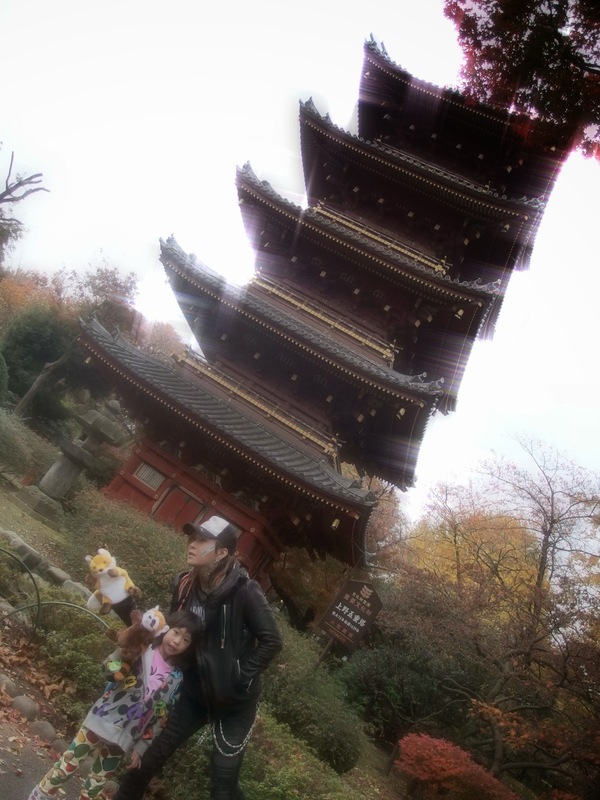 In Ueno Zoo, there is a Five-storied Pagoda and a tea ceremony house. Many might feel these are out of place, however, there is some history to these monuments. 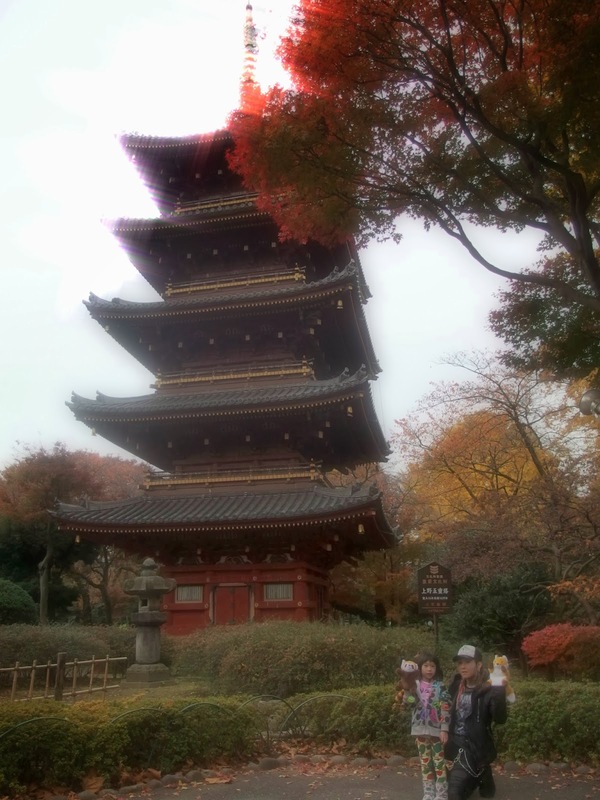 The pagoda was built in 1631, rebuilt after destruction by fire, and in 1958 the owner, Kan’ei-ji temple, which gave the pagoda to Tokyo Metropolitan Government – who assigned its management to Ueno Zoo. The tea ceremony house, in the past – was built to entertain Shoguns in 17th century, and it stills stands as a historic structure in the zoo ground. 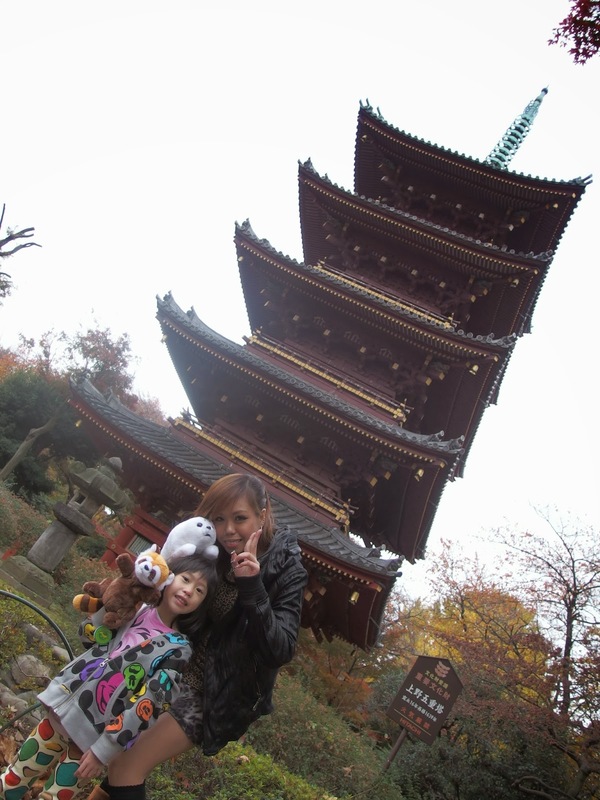 The Five-storied Pagoda and the tea ceremony house also give the zoo a Japanese touch. 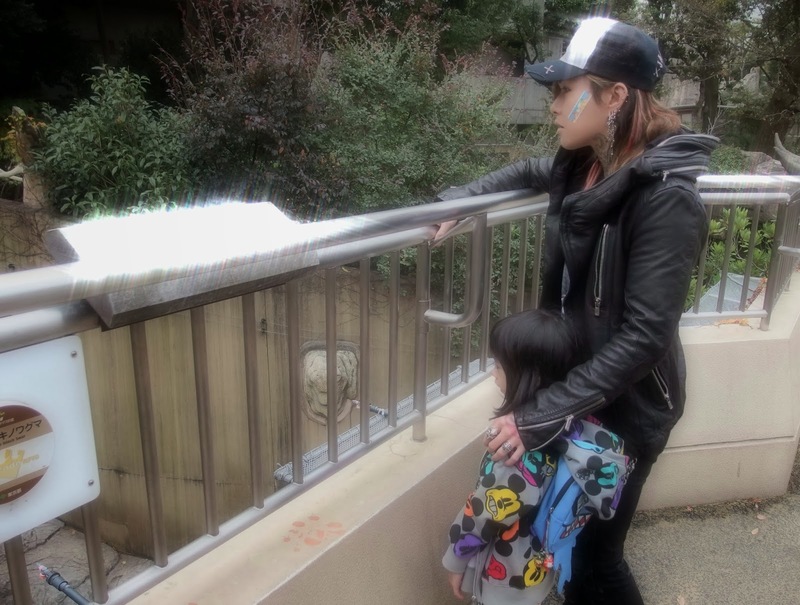 In Ueno Zoo, especially in the “Gorilla Woods” and the “Tiger Forest”, you experience the thrill of facing nose-to-nose with those amazing wildlife. In an effort to breed endangered species, the zoo has organized nationwide and worldwide zoo networks to share experience and knowledge of animal husbandry and management. Also, do take a short ride by monorail westward, to the lower area. Here, you’ll find the Petting Zoo!! Small children especially, love the Petting Zoo. Okapis from San Diego Wild Animal Park and Aye-Ayes from Tsimbazaza Zoo; in Madagascar, are quite rare species. These Aye-Ayes came to Ueno Zoo as a part of international breeding cooperation. Ueno Zoo has succeeded in breeding of Aye-Ayes as well as Pygmy Hippos, both of which are also endangered in the wild. Over at the Small Mammal House, you’ll find these secretive nocturnal animals. Back in 1999, the Reptile and Amphibian House was completed and here in this “Vivarium”, you’ll encounter the world’s rare Fishes, Crocodiles, Turtles, Snakes and Frogs that can be found in this greenhouse. Situated nearby the Small Mammal House, kids will be sure to pay the “Vivarium” a visit, as well! Shinobazu Pond, also in the west area, is a unique habitat for wild common cormorants, Phalacrocorax carbo, which once were seen everywhere in Japan, but now endangered. With cold weather up ahead, animals and birds of the Arctic Circle should feel right at home in the newest facility that opened, here in the Ueno Zoological Gardens. The “Polar Bear and Seal Oceans,” has already even given Ueno zoo’s famed pandas some competition for visitors. Among the animals on display in the new exhibit are of course, polar bears, snow owls, California sea lions and grouse. Seals too, are on display here! This facility was designed with the intention so that visitors can see the behavior of the animals up close. Renovation work for this new exhibit took two years, with the quarters for polar bears already been enlarged threefold already! The polar bear space is above the seal pool, with reinforced glass separating the two, so visitors can see the two animals at the same time. 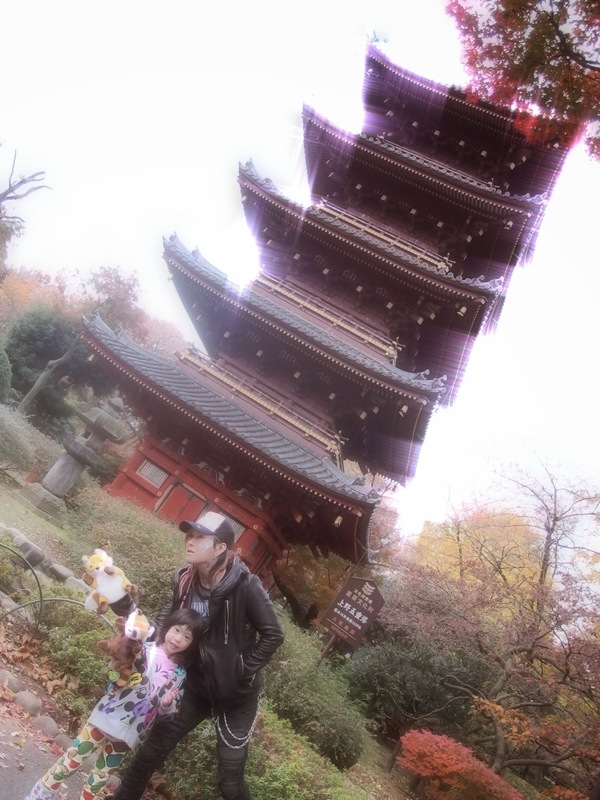 No matter what they say, everyone I know who’s ever visited Tokyo has been to Ueno’s Zoo at least once! So, why don’t you come over, and judge for yourselves? And….Enjoy the rest of our pictures! ZSL London Zoo – Part 2 Paradise with ?? 3 ?! Yes, 3 Kids! !